From his unique perspective, renowned statistician and educator Frederick Mosteller describes many of the projects and events in his long career. From humble beginnings in western Pennsylvania to becoming the founding chairman of Harvard University’s Department of Statistics and beyond, he inspired many statisticians, scientists, and students with his unabashed pragmatism, creative thinking, and zest for both learning and teaching. This candid account offers fresh insights into the qualities that made Mosteller a superb teacher, a prolific scholar, a respected leader, and a valued advisor. A special feature of the book is its chapter-length insider accounts of work on the pre-election polls of 1948, statistical aspects of the Kinsey report on sexual behavior in the human male, mathematical learning theory, authorship of the disputed Federalist papers, safety of anesthetics, and a wide-ranging examination of the Coleman report on equality of educational opportunity. 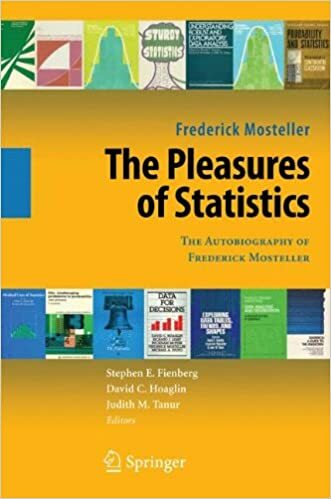 This volume is a companion to Selected Papers of Frederick Mosteller (Springer, 2006) and A Statistical Model: Frederick Mosteller’s Contributions to Statistics, Science, and Public Policy (Springer-Verlag, 1990). Frederick Mosteller (1916–2006) was Roger I. Lee Professor of Mathematical Statistics at Harvard University. His manuscript was unfinished at his death and has been updated.